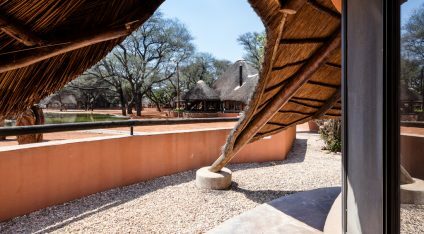 The guest bungalows are situated around a big waterhole in the shadow of the large palm and sycamore trees. Each bungalow has its own patio. 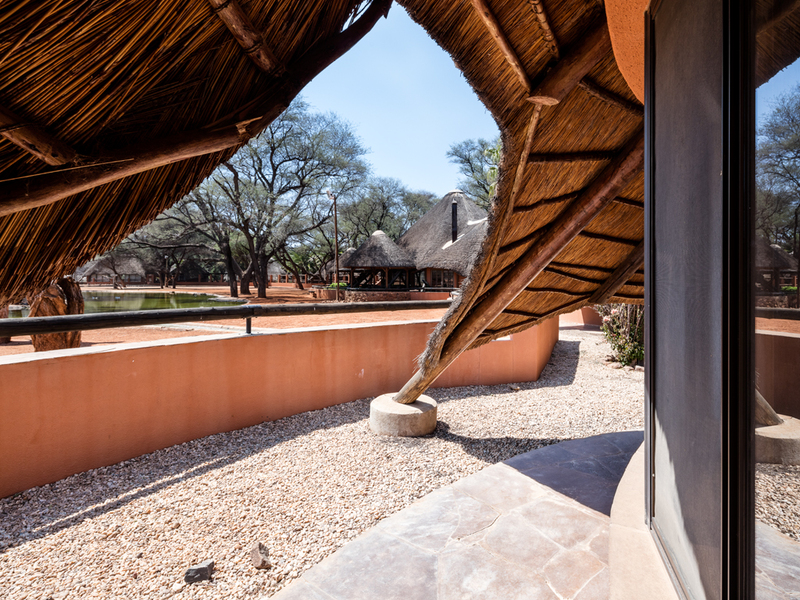 From there one can watch the scenery of African wildlife and submerge in the ambiance of the lodge or simply enjoy a refreshing bath in the pool. 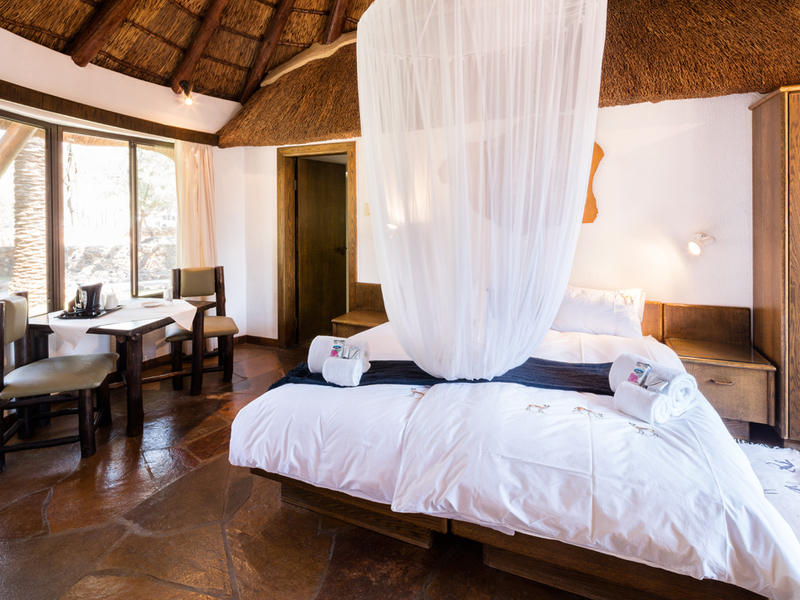 The lodge offers 13 comfortable bungalows with a total of 44 beds. 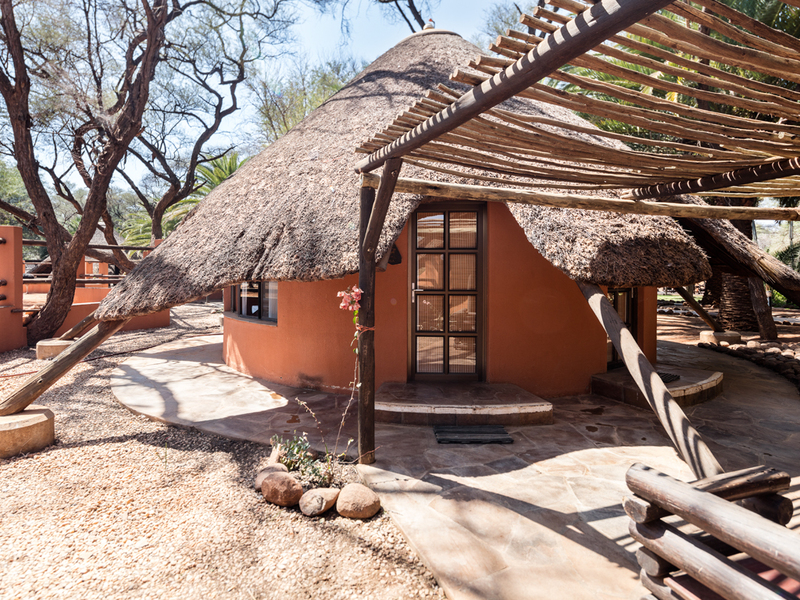 All bungalows are equipped with grass roofs and are kept in the muted colors of the landscape. 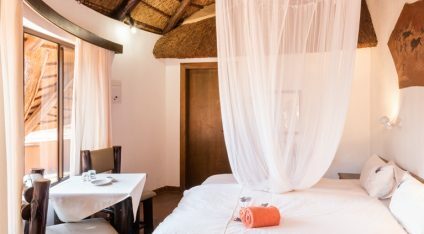 We provide our guests two types of bungalows Superior und Standard. 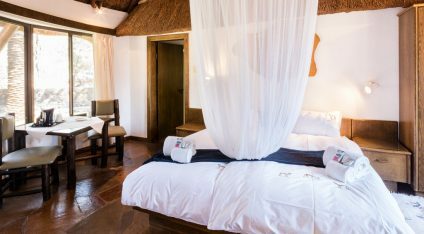 All rooms are equipped with shower, toilet, air condition, refrigerator, mosquito protection as well as comfortable beds. 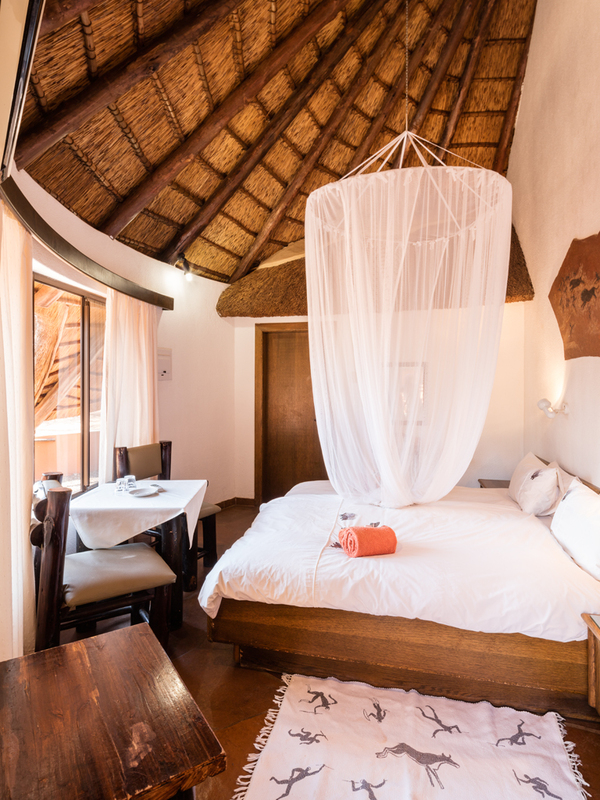 Accommodation includes Dinner, Bed & Breakfast. 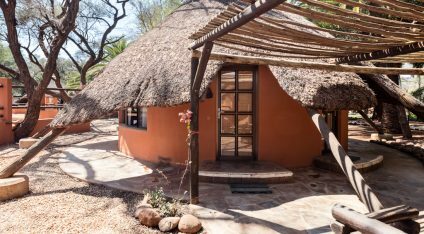 Private safari lodge, green oasis and famous for a beautiful and unique African wildlife encounter.